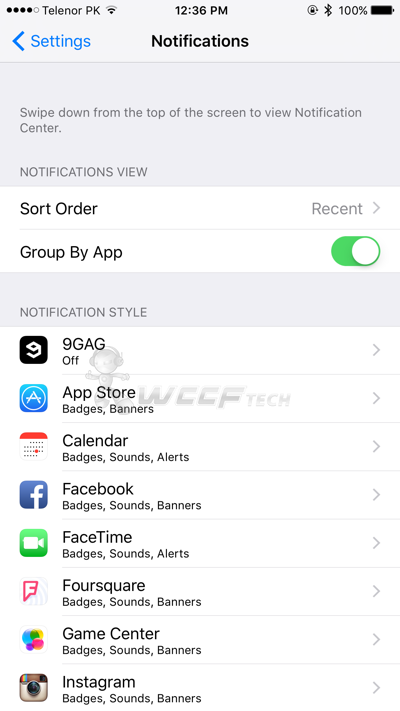 Here’s how you can group iOS 9 notifications on a per app basis, making it easier to spot the important ones right off the bat. By default, and for reasons unknown, iOS 9 makes a list of your notifications in chronological order. Now you must be thinking: but iOS 8 does the same, doesn’t it? Well yes, it does. But the problem with iOS 9 is that it does not break down those notifications on a per app basis, piling up everything on top of each other in the order they arrived. If you’re like us, you’d prefer to have your notifications broken down on a per app basis, just like how they are on iOS 8 by default, allowing us to skip through the nonsense and get right to the important bits without having to concentrate hard enough on that display. 1. Launch the Settings app in iOS 9. 2. Look for an entry labelled ‘Notifications’ and then tap on it. 3. There’s a toggle switch at the top labelled ‘Group By App.’ Simply toggle it on and you’re good to go. With a simple flick of a switch your notifications will now be grouped on a per app basis in Notification Center, making things how they’re supposed to be from the get-go. The default settings are only good if you’re a diehard timekeeper and want to know when that Instagram ‘like’ poured in and after how long you got a ‘revine’ on Vine when a specific friend commenter on your status on Facebook. But sadly enough, most of us aren’t that sort, therefore we like the vanilla setup on our devices, and want our notifications well broken down into groups. 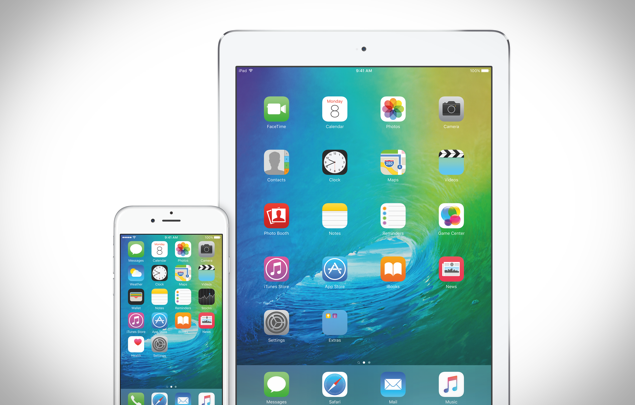 iOS 9 is a massive upgrade over iOS 8 and comes packed with a ton of new features. And as Apple pushes out new betas on a bi-weekly basis, the list of feature additions keep on growing, hence users can expect a lot more this fall when the final build goes live for consumers. iOS 9 is currently in its beta phase and is available to download for developers and the average public as well via Apple’s Beta Software Program initiative. If you’re looking to try out iOS 9 Public Beta on your iPhone, iPad or iPod touch, then be sure to check out: How To Download, Install iOS 9 Public Beta On iPhone, iPad. We wouldn’t recommend installing pre-release software on your primary device, and suggest doing so on spare hardware, as beta releases can be very unstable at times.